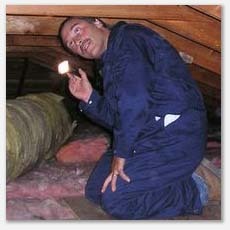 A critical element of a home inspection is a thorough attic evaluation. We look for evidence of damage noted on the roofing inspection. We also note critical features such as proper ventilation, insulation, vapor barrier, wiring, structural issues and moisture problems. Ventilation or leaks in attics can lead to damage by wood destroying organisms.